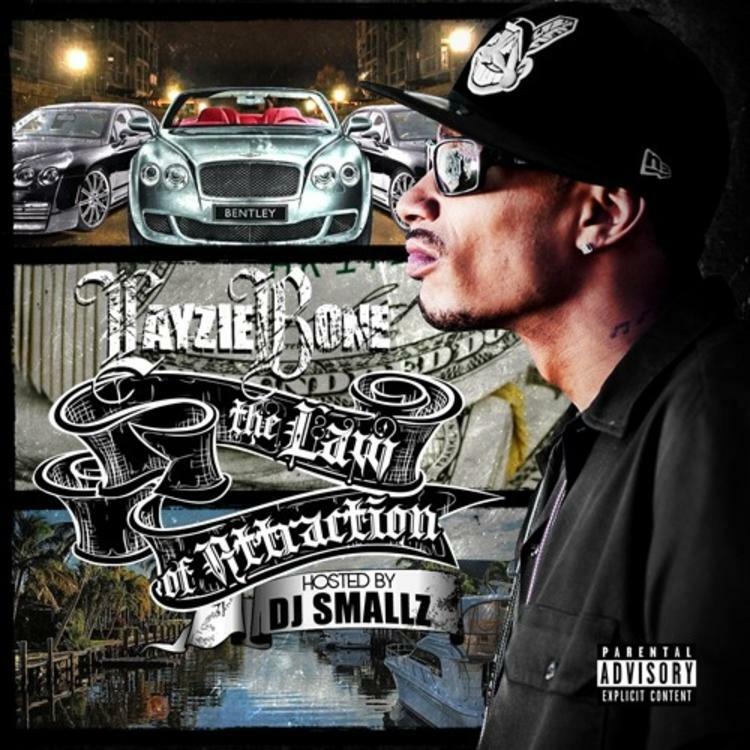 Cop The Law Of Attraction (Hosted by DJ Smallz), the latest mixtape from Layzie Bone, which dropped on Thursday, November 17th, 2011. Layzie Bone's odds keep getting better with each new leak, and The Law Of Attraction (Hosted by DJ Smallz) will undoubtedly improve his chances of winning. It's a worthy addition to a respectable catalogue that has seen a lot of growth since Layzie Bone debuted in this game. We're looking forward to the follow-up. The following artists are featured on the mixtape: DJ Lazy K, DaSanga, Dirty Red, Paul Wall, Layzie Bone, Too Short, Maybach Dice, Boxie, Myke B, LIl R3DD, Felecia, Money B, Big Sloan, D'Rado, Busta Rhymes, Twista, Jaz-O, Young Buck. Check out Layzie Bone on Somebodys Watching Me (No DJ). Hit up Layzie Bone's profile page for the latest info, news, songs, and mixtapes. Don't forget to follow Layzie Bone on Facebook and Twitter.